Bring a little color to your everyday life with the Dickies Girl Juniors' Rainbow Stripe Short Sleeve Cropped T-Shirt. Made with rainbow stripes that wrap around you horizontally, this shirt brings just enough color to the room to make you stand out while fitting in perfectly. 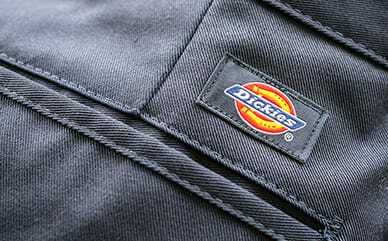 The cropped design with raw hem keeps you on trend, while the Dickies logo shows off a brand you support.